Okay this post is getting really cluttered. Here are a few guidlines from now on for posting games. 1. Give the game's FULL url. 3. Give a brief description preferably from the games website. 4. Do not post a game that is already on the list. Syrnia is a Medieval style fantasy game with several locations, 15 skills, hundreds of items blah bla blah. If you do not do this the game will not be added to the list. Here are some of the on-line games I know of. Roto X is a text-based RPG based in the future. This is an online real-time strategy game (rts) where you are an officer in the army or the navy of one of 25 different countries during the Colonial Era. You build your army and navy while climbing the ranks, getting stronger and stronger. Once you rank high enough you can unite lower officers (other players) and fight huge online naval and land battles to attack one of the other countries trying to conquer the world. Warrior fields is a free online textbased game. Build up your castle and army, then send some of your units siege a 'friend' of yours. Tribal Wars is a browser based on-line game. Every player controls a small village, striving for power and glory. Merchant Empires is a free, browser based multi-player game of space exploration, trade and combat. Explore a vast galaxy, with hundreds of star systems and thousands of planets. Build a base of operations; buy and sell almost fifty different types of goods to create and control trade routes; establish a centre for scientific and weapons research. Pilot one of almost one hundred ships in fleet warfare; co-ordinate attacks on rival bases; mine up space lanes; or prowl through deep space on the hunt for enemy warships. Create a free New Account today and play right away. Battle to save the world, or for fame, gold and power... it's all up to you! Cantr II is an on-line role-playing game, in which a large number of players play an even larger number of characters who all together form different societies all over our virtual world. Societies exist in different languages, whereby all language groups play in the same virtual world. Visual Utopia is a turn-based strategy war game. In this strategy web game You build cities, train troops and conquer other player's cities. Online graphical turn-based strategy/rpg game where you can play short tactical skirmishes with 2-4 players in small random-generated game worlds. The game is free and can be played either as an applet or downloadable client. Welcome to the Eternal Duel, a free web-based MMORPG/PBBG where players fight for complete control over an ancient, medieval world. Will you be a rich merchant constantly searching for ways to gain more gold? Will you master gems like the long-bearded dwarves? Or will you become a great warrior who's blade will be bloodied many a time? Across the vast countryside, six races live in constant battle with each other. Vicious powerful orcs, the eerie, dark undead, the mystical, mysterious high elves, the dark elves, evil masters of weaponry, the gem hoarding dwarves, and the noble, rich humans. Welcome to the Eternal Duel...In this world, death is not the end...just an obstruction to glory. Life is Eternal. Victory is not. Think you have what it takes? Dark Throne is a turn-based massively multiplayer online fantasy game you can play right through your web browser. Sign up as Humans, Undead, Elves, or Goblins and fight other players as you try to take control of the throne. Home to the world of online farming. Regno is a trading card game right here on the net. KoL is played from the comfort of your browser, and is adorned with a staggering array of stunning hand-drawn images. It is turn-based, which means you get a certain number of turns (Adventures) each day. Start playing and defend your own virtual-pc against intruders whilst you are trying you hack as much other players and web servers as you can ! Equipment/Items, User-Owned Shops, and User-Owned Clans. The home of some of the best browser-based multiplayer games on the internet. All of our games are absolutely free and are played right in your browser, which means that you can quickly log in to play from anywhere, even work or school. No software needs to be downloaded to play any of our games; simply click on a game below and complete the free registration process (which only takes a minute or two). It's designed so that even if you only have an hour or so a day spare you can still compete, unlike other games where you have to play 24 hours a day to be at the top! It costs nothing to sign up or play, and there isn't anything you need to download or install - you can play from any internet-connected computer and there are no ad's or popup's to irritate you! You're supposed to cultivate bananas and sell them like crazy, what else would a banana plantation owner do!? 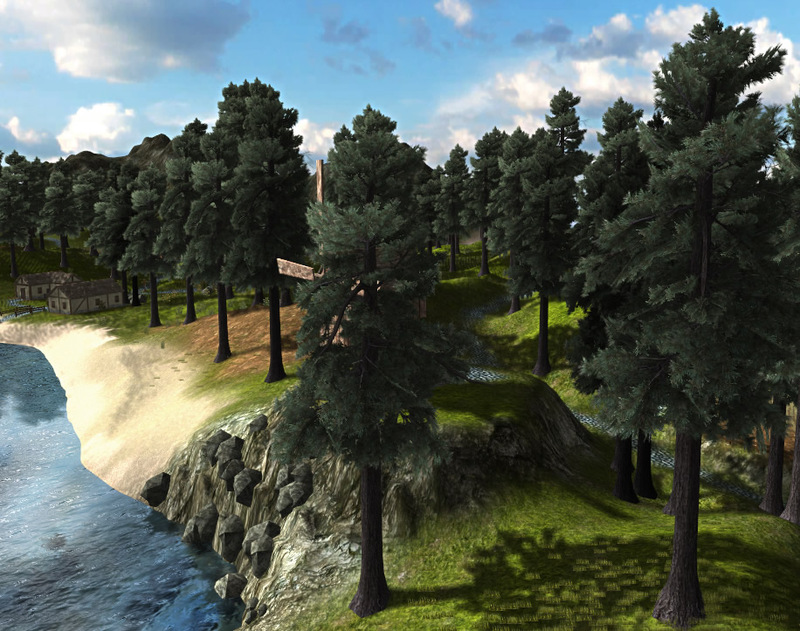 Sryth is an online single-player fantasy role-playing game that you play in your web browser. There are no plugins or special software to install and it's completely free to create an account and start playing. In the world of Sryth, you take on the role of a bold adventurer (of your own creation) whose heart yearns for fame, fortune, and of course...the thrill of adventure! However, you're not just any ordinary adventurer! In Sryth, the game's storyline revolves around you! You're the main character -- perhaps the greatest adventurer since the glory days of Tallys -- and your actions and decisions will not only shape your destiny, but perhaps alter the course of history! With more than ten skills and ten magical disciplines to learn and command, a kingdom's worth of adventures to tackle, a vast arsenal of weapons and armour to acquire, and countless perils to be confronted, there's no time to lose! The Age of Igtheon has dawned on Sryth, and the epoch of the adventurer has begun! Nowhere Else and Beyond is the first web based RPG that allows players to explore exotic locations in 2D or 2.5D, interact with other players, and build your own island and create quests within it. The best part is it's free and it runs within your browser and works on all platforms without any download. You may optionaly use our Java engine if you want to experience the full features the game has to offer. Firefox/Mozilla recommended as it provides better performances. Hostile Territories is a massively multi player browser based space strategy game. It uses PHP to generate the pages and a MySQL database for storage of data. The aim of the game is simply to build up a space faring empire and have fun. The idea was to make the game universe as open as possible, allowing players to do anything they want, without putting lots of restrictions in place. Payers can expand by non-violent methods if they wish, by harvesting, colonising and trading... but where is the fun in that? The militaristic side of Hostile Territories is it's main feature. There are 63 different types of military unit in the game. That's 7 types of planetary defence, 7 generic ships that every race has access to, and then 7 'race specific' ships for each of the 7 races. While it is not possible to build another races ships... you can capture them in combat, so it is quite possible to have a fleet with every single ship type. In Hostile Territories, military prowess is rewarded as well as size. If you know of any others post here. 7. Game referral links in the forums are not permitted. Any found on the forums will be deleted. If you wish to advertise another game, this is the thread for that purpose. Only a link to the game's homepage will be permitted. This includes URL's in your forum signature. Do not post any links to pornographic sites this will result in punishment. Deeds are judged by motives. Last week, while Syrnia was down, I tried another online fantasy RPG called World of Dungeons. It's a free-to-play, browser-based game, although you can opt to become a member to gain access to more benefits sort of like with Runescape. Like Syrnia, WoD is text-based but it has more of an old-fashioned D&D sort of feel to it. No mining, smithing, woodcutting or anything along those lines...just straight-out dungeon crawling. You create and equip your character(or characters - you are allowed to create three as a free-player and can control two at once), then you join a group made up of PCs from other players and off you go in search of monsters to kill and treasure to collect! I've only been playing WoD less than a week, but so far it's pretty good. Unlike with Runescape or Syrnia, this game really stresses cooperation between PCs in order to survive and conquer. However, for those die-hard PKers there is a dueling feature where your character can duel another player's character, either for points or just for fun. I've not tried that feature out yet. My character is one of a group of six and so far we are doing pretty well. its a new historical fiction RPG, set in 16th century Europe. The game is being coded now, but the RP forums have been running for some time. Its really intensive RP, so if thats your interest- at least try RD. The forums and IG functions will be directly related, so if you want a boost when game starts, join the forums now. Contact Me or TaintedX and we can get you hooked up with some actually friendly people. The community is awesome, the game is intensive, and when the browser based interface opens, it will be like nothing else in terms of rp and historical accuracy. No monsters to slash, but everything else is possible. Or go to "Fritszs stuff shop" in eully if you are looking for: Cheap Ogre/elven gear - and rare items! This game is still in beta, but so far it blows WoW and Guild Wars out of the water. It's music reminds me of Legend of the Dragoon, gameplay value of Final Fantasy 12, and graphics of Guild Wars. It is literally one of the most anticipated games out there. As soon as it's out of beta this will be the absolute best 3D mmorpg on the market. I've been playing Tales of Pirates. First of all it's a free online RPG. It has really good graphics for a free game. It has all sorts of things to do. You fight monsters for exp to lvl up, you also gain exp from normal quests. There is also quests called story quests which follows a whole storyline in the game, when you do the story quests you earn lifeskill points (which is what you need to level up in woodcutting, mining, etc). They have a whole sea commerce system worked out. Speaking of the sea you can build ships and go sailing and fight monsters in the sea and explore other islands. They have guild wars where you can sign up to have your guild fight against others. I could go on and on about the game but if it sounds interesting you should check it out. It's the only other online game I play besides Syrnia. wow I'm pretty surprised how fun and addicting SlaveHack has turned out to be, it didn't sound fun to virtually hack computers at first. I started playing today and really like it. furthermore, below in the list several links begin with 'htpp://' which should be 'http://'. Realms of Mayhem is a Browser Based Massively Multiplayer Strategy Game, in which you control a realm from the beginning of Copper Age to the End of Age of Sail. During this time, you can build up your economy, research technologies, train soldiers, build ships, construct buildings and castles, form kingdoms, attack your enemies or besiege your enemies' castles. Realms of Mayhem offers 69 military units, 68 technologies, 14 military masteries, extremely detailed battles and something no other browser based game can offer: real time sieges against castles between two or more Lords. These are all the games that I spend my time playing. Oh Yeah, www.psypokes.com if you like Pokemon. Welcome to cyber-wars! The year is 2020 AD. All civillization has gone under. Well it's a mmorpg, though it isn't free it ain't expensive either. There's a 24h trial possibility (That's 24 hours you're actually logged into the game). In the game you start of as a visitor, at level 10 you can choose a job. There are 4 jobs to choose between: Muse, Soldier, Dealer, Hawker. The problem with the game is the community though. Since it's a game for all age groups, you stumble upon some immaturity now and then. The game ain't full of it however! My friend Turock has developed a new game, called Dominion Siege. It's similar to Kings of Chaos (but much better). It's in beta right now but we already have about 30 players. Please feel free to join and actively create a cool new game with us. All the feedback will be taken into consideration for future game improvements. Come and check it out at www.dominionsiege.com (yup, it's free). all are free ..we in exro dont party the most we party the best ! *A strange new travel system based on the sci fi serie "Stargate"
Proudly teaching to the Roughy how to loot and pillage your nice lands. You begin in the thriving town of Cajar. Here you will work your way up battling monsters, going on distant quests, slaying dark beasts, and finding incredible treasures. The only point to this game is to define your own destiny and lifestyle. You can become a great war hero, be the owner of a thriving clan, become a merchant and sell goods wherever you go, or take on some of our InGame Skills such as mining. This game takes place in the current city of Cajar. You can explore outside of town to battle monsters,look for treasures, and learn about our world. You can work on mastering your fighting abilities, try to become a merchant, or even go on to own a clan. Within the Torn City network there is something for everyone. May it be organising a bank hold-up with your friends, playing poker to fulfilling a loving relationship. Torncity really does make all other gangster roleplay games look bad, this isn't your average neopets. The list below is a snippet of the content featured in the game. By signing up to this excellent online browser game for free, you will have access to all of this great content plus regular updates. I really like Movoda! It's second to this game, of course. Movo is very similiar to Syrnia. Nice how we can play Movo right alongside this game, at the same time. In fact, I open this game and Movo in two windows, then tile the windows horizontally so I can keep an eye on both games at once, and know when the bot check timer for each game ends and needs attention. In Movo ya just have to click one color, so that's very easy. I turn the chat off in there and just do the chats in this game. Funny to see how many of the same players there are in both games. lol When I get in a real multi-tasking mood, I scrunch Movo's window over about halfway, where I can still see the bot check, and go online to some other forums I enjoy reading, or play online bingo at the same time as Movo and this game too! aha..